When a service profile is disassociated from a server, what happens to the identity and connectivity information for the server? A. It is cleared and set to the default that was setup initially by the first configuration. B. It is maintained and can be reused. C. It is reset to factory defaults. D. It uses master service profile parameters. E. It takes parameters of other servers in the service profile. At any given time, each server can be associated with how many service profiles? Refer to the exhibit. 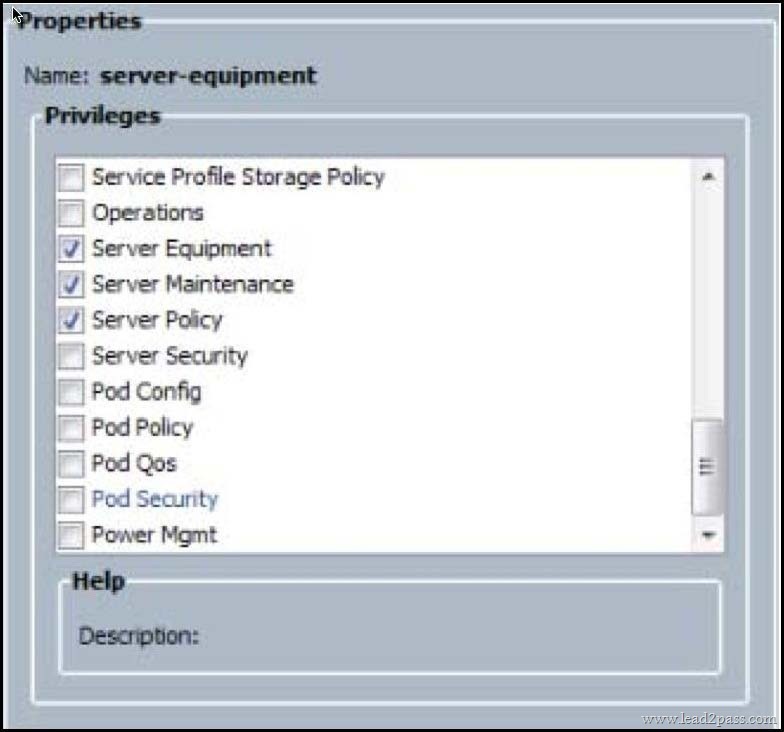 Using RBAC for security in a Cisco UCS environment, what is seen in the exhibit? Refer to the exhibit. Which of these is an extension of the virtual machine abstraction that is applied to physical servers? In new Cisco UCS release 2.0 installations, what are the default VLAN IDs? A. Manually reboot the server. B. Reset the server to a new profile. C. Reset the unassociated server to activate the firmware. 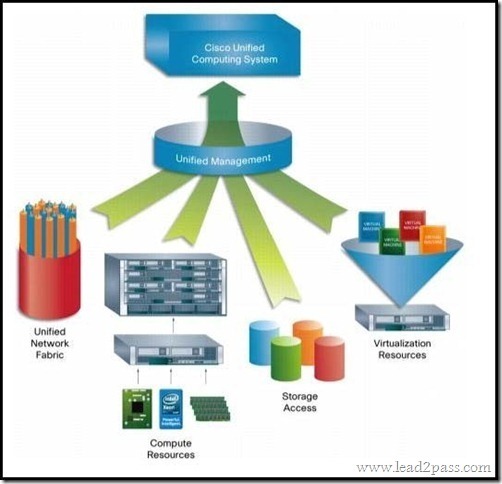 D. Reinitialize the firmware process with Cisco UCS Manager. E. Download the firmware and start over. F. Shut down gracefully and start over. 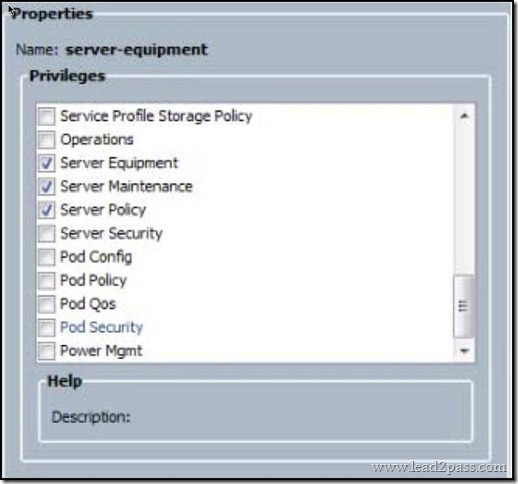 A. Reassign the dynamic vNIC back to the old configuration. B. Nothing; Cisco UCS Manager will take over. C. Reassign the service profile back to the master one. D. Remove and reconfigure the dynamic vNIC. E. Reassign the monitoring source. What does the command scope interface 2 3 in the above CLI command sequence do on a Cisco UCS blade server?